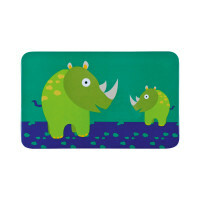 Wildlife Rhino: The non-slip place mat – available with different designs – lets adults and children enjoy their meals together. Product information "Breakfast Boards, Wildlife Rhino"
description & equipment The children's bag collection designs also appear partially on the breakfast boards and invite young ones to enjoy a tasty meal. The animal characters of the Lassig Wildlife line or for example Bouncing Bob and Mad Mabel also keep the little ones company at mealtime. 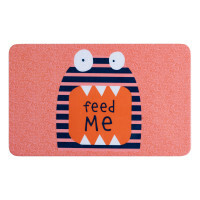 The colorful breakfast boards are made of 100 % melamine, are dishwasher safe and have non-slip grips on the underside. Matching children's utensils and melamine dish sets are also available.